There are different kinds of dosais.. plain dosai, masala dosai, adai dosai, paruppu dosai, vengaya (onion) dosai, thakkali (tomato) dosai, kal dosai, uthappam, mini uthappam and many more never ending varieties. Dosai is like a flexible daughter-in-law, always ready to get accustomed to all kinds of situations! 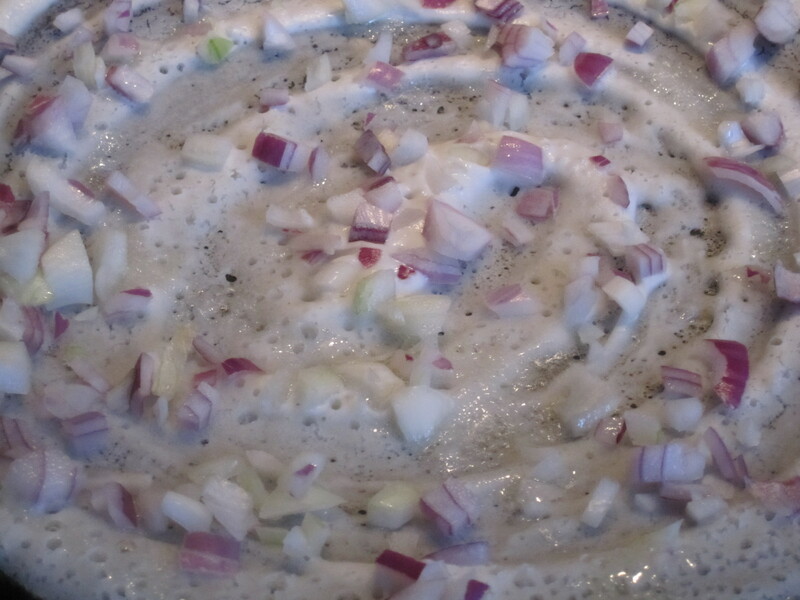 Now, let’s make vengaya dosai or onion pancakes! 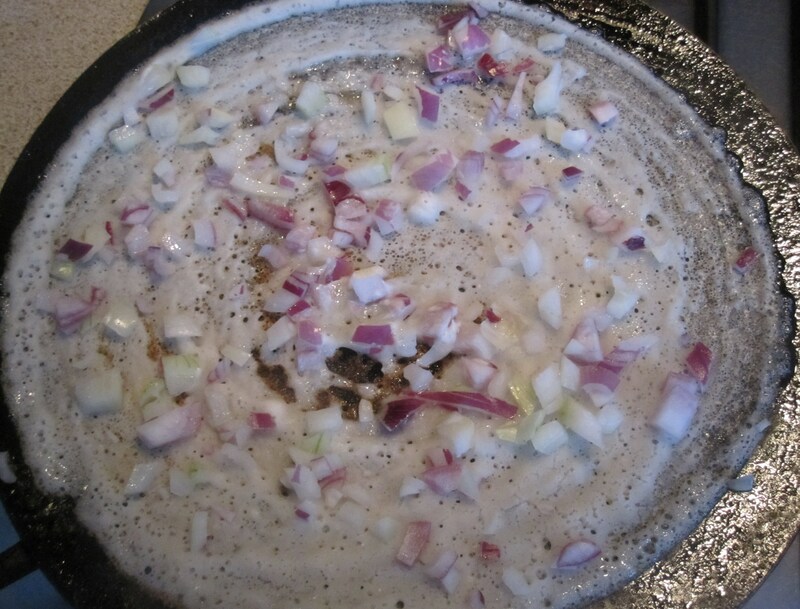 The crispy taste of fresh onions roasted very lightly on top of the dosai is something to relish. 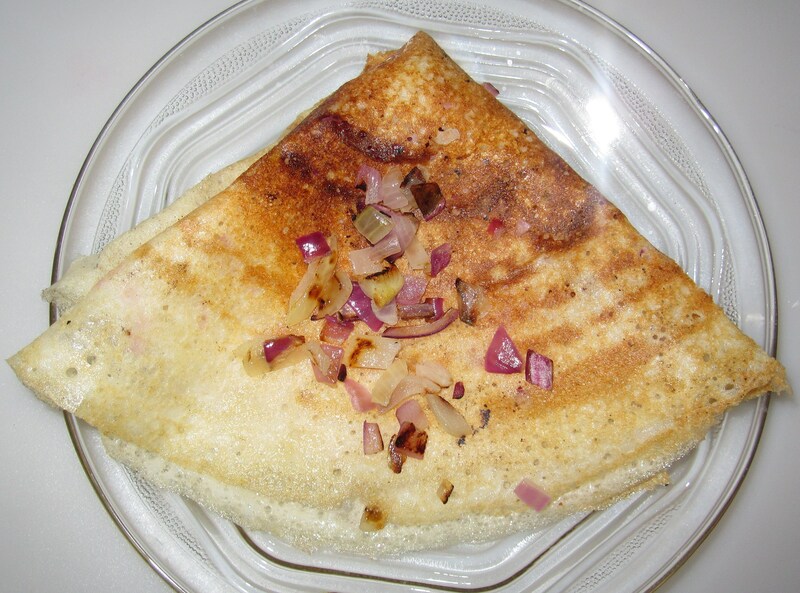 The preparation of this dosai is very simple, yet could be a big hit with guests! Serve with any chutney of preference (https://dosaikal.com/category/chutneys/). nanri. my husband says it would go well with priya’s nandu curry!